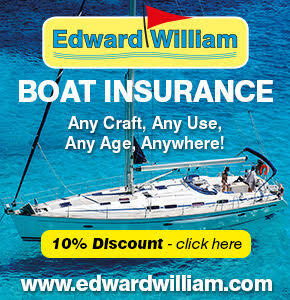 OceansWatch has a sponsorship arrangement with Edward William Marine Services, an international insurance broker. Our founder Chris Bone has worked with this company for many years and have found them to be reliable, easy to deal with and have paid out promptly on claims. Edward Williams now offer a 10% discount to OceansWatch members and also give OceansWatch a commission. Below is an insurance form for you to fill in to receive a quote. More information is available on their website.